Pork prices have fallen in many Vietnamese localities as African swine fever continues to spread. To date, the epidemic has hit 23 cities and provinces in the northern and central regions of Vietnam with around 100,000 pigs culled, reported the Ministry of Agriculture and Rural Development (MARD). According to the MARD’s Agro Processing and Market Development Department, live pig prices in northern localities dropped by VND3,000-5,000 to VND35,000-38,000 (USD1.52-1.65) per kilo in March. The central region saw the same fall with VND38,000 per kilo for live pigs. Meanwhile, live pig prices in southern localities declined by VND6,000-10,000 to VND40,000-46,000 per kilo. Some localities witnessed a very sharp fall in live pig prices at just VND31,000-32,000 per kilo as people turned their backs on pork over fears about African swine fever. 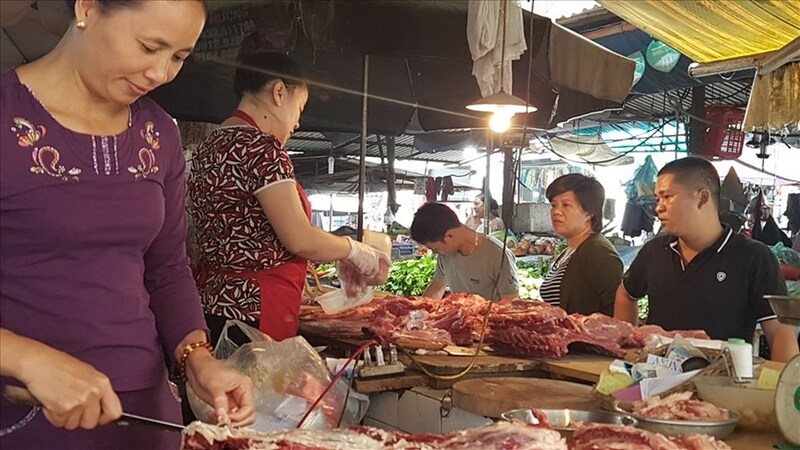 However, after it was communicated that people cannot be infected by the disease, pork prices have trended higher by around VND10,000 per kilo. The MARD expressed concern about the continued pork price decrease if no more action is taken to help raise public awareness about the epidemic so that they would not boycott pork. The mass cull of pigs has seriously affected the pig breeding sector. Hanoi is currently home to around 1.5 million pigs, down 3.2% on-year. The city’s live pig productivity in the first quarter of this year was estimated at 84,000 tonnes, down 1.7% on-year. The MARD advised people not to expand their pig breeding, instead of focusing on African swine fever prevention and control. Small- and medium- sized enterprises (SMEs) in Viet Nam are making initial investments in cloud computing, cybersecurity and software and hardware upgrades, as a large majority of them begin their digital transformation journeys, according to the APAC SMB Digital Maturity Index (Index), released by Cisco on Thursday. The index, developed by research firm IDC and based on an independent survey of 1,340 respondents, looked at digital maturity of SMEs across four business dimensions including technology adoption and application, digital transformation strategy and organisation, processes and governance, and the capability to source, manage and retain the right talent to enable their digital transformation. Taking into account the four dimensions, SMEs in ASEAN, with the exception of Singapore, were classified at the “Digital Indifferent” stage of digital maturity. The stage is defined as one where companies digital efforts are often reactive to market changes, rather than driven by a proactive tactical approach. As SMEs in Viet Nam become more digital, it is not surprising that cloud computing is the top technology they are investing in (18 per cent). This is in line with the trend of cloud computing adoption across the region as the technology allows SMEs to scale rapidly as and when required and without significant upfront capital investment in IT infrastructure. As SMEs in Viet Nam digitalise, they are also adopting cybersecurity technologies, with 12.7 per cent of respondents listing it as one of the top three technologies they are investing in. This highlights that they are placing security front and centre of their digital transformation journey. Having the right IT infrastructure in place is critical to meet the evolving needs of SMEs in Viet Nam and ensure long term success. The SMEs recognise this and 10.7 per cent of respondents say they are investing in IT software and hardware upgrades. “SMEs in Viet Nam are digitalising rapidly and harnessing the power of technology to expand revenue streams and reach a wider pool of customers beyond geographical borders. With the support of the Government and corporations, SMEs will truly propel Viet Nams economy to the next stage of growth. Cisco plays a role in building a strong digital foundation in Viet Nam on multiple fronts. 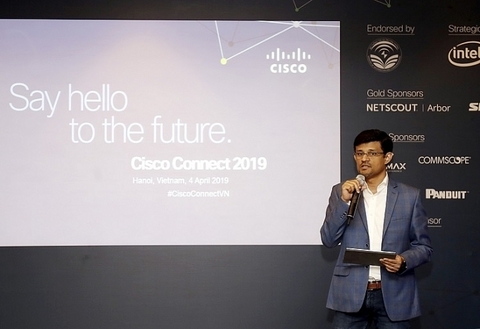 The Cisco Networking Academy for example has trained nearly 36,000 students in Viet Nam and supported the development of digital skills in the countrys workforce. We look forward to strengthening our partnerships with the Government and with SMEs to accelerate digitalisation in Viet Nam,” said Luong Thi Le Thuy, Managing Director, Cisco Viet Nam. However, SMEs in Viet Nam are also facing hurdles to digital transformation. Respondents said they are being held back by the lack of digital skills and talent (17 per cent), lack of a robust IT platform to enable digital transformation (16.7 per cent) and the lack of a digital mind-set or cultural challenges in the organisation (15.7 per cent). The survey also revealed that Government initiatives have a clear impact on SME digitalisation in Viet Nam. A majority of respondents (64 per cent) say they are aware of Government initiatives that support SMEs and have already benefitted from them. Another 30 per cent are aware but have not taken part in these programmes. The Index suggests that SMEs in Viet Nam should consider digital transformation a journey to constantly access their maturity across the four dimensions, and prioritise key initiatives to address gaps. To accelerate the digital transformation journey, they should have strategic investments, embark on process automation and digitalisation and find a trusted partner. The Index highlights that more than 60 per cent of SMEs in Asia-Pacific have started to embrace digitalisation, driven by improved internet access and growing smartphone ownership. These SMEs are redefining customer experience and expectations, disrupting sectors and in some cases creating entire new ones, while capturing investment and funding opportunities. SSI Securities Incorporated (SSI) has re-claimed its crown on the Ho Chi Minh Stock Exchange (HOSE), with the highest market share of stock and fund certificate broking among brokerage firms. Among the top 10 brokerage firms with the highest market share of stock and fund certificate broking, VPBank Securities Co (VPBS) and KIS Viet Nam Securities (KIS) had the lowest market share of 3.14 per cent and 3.11 per cent, respectively. 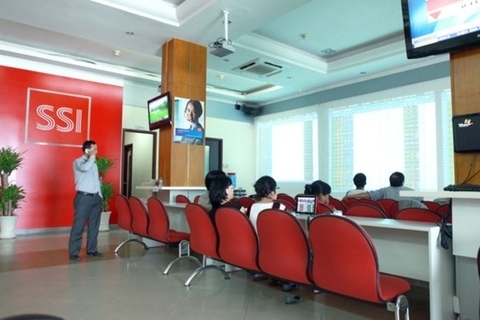 The third and fourth positions were PetroVietnam Securities Inc (PSI) and Bao Viet Securities Co (BVSC), which had a market share of 2.98 per cent and 1.79 per cent, respectively. A view of Suoi Cam Lake in the southern province of Binh Phuoc. The province is calling for investors to develop the third phase of the Suoi Cam tourism project, expected to cost more than VND1.74 trillion (US$75 million). The Ministry of Industry and Trade (MoIT) is working with Binh Phuoc Province to build a cooperative programme to attract investment to the province. A delegation from the ministry led by Minister Tran Tuan Anh met with agencies in Binh Phuoc Province on Wednesday to discuss work on cooperative programmes, including solar power and rural electrification. The province has asked the Government and the MoIT for approval of 39 solar energy projects with total capacity of 3.506MWp. Of the 39, five have been approved by the central government and one by the MoIT with total capacity of 850MWp. Construction of the section of the 220kV Binh Long – Tay Ninh transmission line is scheduled to be completed in 2019. In addition, the Peoples Committee of Binh Phuoc has approved funds of VND75.5 billion (nearly US$3.3 million) for rural electrification from the national power grid in Binh Phuoc Province in the 2013-2020 period. During a meeting with a delegation from the MoIT, Nguyen Van Loi, secretary of the Binh Phuoc Provinces Party Committee, noted the problems facing the province, which include incomplete re-structuring of the industrial sector; underdeveloped supporting industries; low added value, and the competitiveness of industries in the province. Loi said most of the provinces goods were semi-processed products, and the volume of hi-tech products remained low. Trade was being promoted well, but Binh Phuoc faced challenges in production, manufacturing and consumption, said Loi. E-commerce has yet to be developed in the province, he added. The provinces exports have faced challenges as importers have issued strict regulations on the provinces major exports including cashew nuts, rubber and pepper. Loi said Binh Phuoc had taken measures to mobilise investments in infrastructure development for industrial parks and complexes, energy and commercial facilities. The province will speed up re-structuring of its industrial production with a focus on processing industries, reducing exports of raw materials, and promoting major industries which use local raw materials. Binh Phuoc has also made efforts to enhance its production capacity by promoting the production of raw materials and machinery and equipment to replace imported products. Minister Tuan Anh said the MoIT would work with Binh Phuoc Province to create a cooperative programme to help the province attract investment and build brand names for its products, including cashew nuts, pepper, rubber and energy. The MoIT will also work with the province to develop industries that have potential in Binh Phuoc, Anh said. An exhibition of Cuban goods held at a conference to facilitate trade between HCM City and Cuban businesses on Thursday. Cuba is keen on strengthening business ties with Viet Nam, a conference heard in HCM City on Thursday. The conference was held by the city's Investment and Trade Promotion Centre (ITPC) and Cuban consulate to mark a visit by a business delegation led by the Cuban Chamber of Commerce general secretary Omar de Jesus Fernandez Menendez. Cuba is striving for economic reform, with more open policies, and is pushing for more trade and exports of goods and services such as functional foods, hi-tech agriculture, rum, cigars and medical services. It also wants to import from HCM City consumer goods and garments and textiles. Indira Lopez Arguelles, the Cuban consul in the city, said besides its traditional and well-known agriculture industry, Cuba is also developing other industries such as bio-technology, tourism, health, beverages and professional services. Menendez said HCM City is the economic centre of Viet Nam, and businesses interested in improving trade with the country should look at the city. It excels in trade, tourism and investment, and has great potential to work with Cuba in areas like healthcare, pharmaceuticals, agriculture, food production, textile and garment, footwear, and consumer goods, he said. He invited HCM City businesses to take part in the 37th International Fair in the Cuban capital Havana from November 4 to 8 this year. Businesses from 65 countries and 3,000 visitors would be at the event, he said. Pham Thiet Hoa, director of the ITPC, said the relationship between Viet Nam and Cuba is growing nicely, and a visit by a delegation of city's senior officials to Cuba led by Peoples Committee chairman Nguyen Thanh Phong last year showed the citys strong commitment to fostering economic and trading ties. Tran Ngoc Thuan, general director of Thai Binh Corporation, which has been exporting garments, footwear, consumer goods and construction materials to Cuba since 1998, said Cubans have a preference for Vietnamese goods and an affinity for Vietnamese people, due to the two countries long friendship. An exhibition was also held for the visiting Cuban businesses to network with their Vietnamese counterparts and promote their goods such as beverages, cigars and bio-technology products. 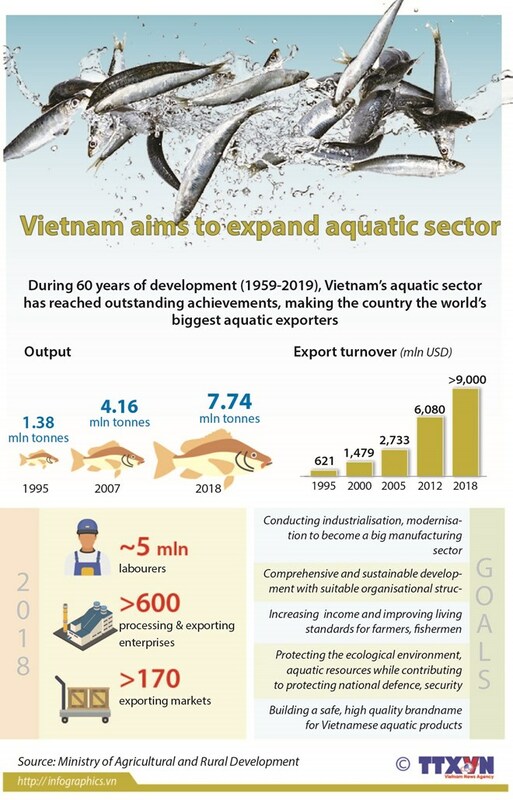 Viet Nam is Cubas main Asian investor, with several Vietnamese businesses having a high profile in that country, especially in construction, tourism and renewable energy. Viet Nam is Cubas second largest trading partner in the Asia Pacific, and the two countries signed a trade agreement last year. 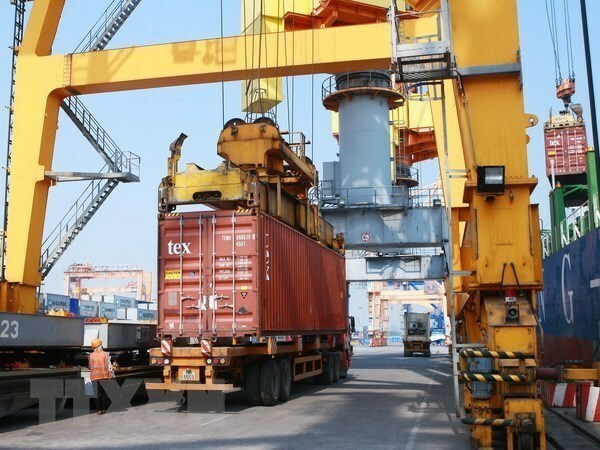 The logistics sector has achieved 12-14 per cent growth in recent years and that momentum would continue, according to the Viet Nam Logistics Business Association (VLA). The sector had opportunities to develop in the coming time given the strong development of the e-commerce sector and fast delivering services and others, he said. The country has 4,000 companies involved in the transportation of goods on domestic and international routes, he said. Of them, foreign-invested firms account for just 1 per cent but have a 12.7 per cent market share, he said. Viet Nam ranked 39th out of 160 in the World Banks 2018 Logistics Performance Index, a big jump from two years ago when it was 64th, and third in Southeast Asia after Singapore (7th) and Thailand (rank 32nd). The index is based on six components: efficiency of customs and border management clearance; quality of trade and transport infrastructure; ease of arranging competitively priced shipments; competence and quality of logistics services; ability to track and trace consignments; and frequency with which shipments reach consignees within scheduled or expected delivery times. Viet Nam had improved in all these components in 2018 compared to 2016, especially in efficiency of customs and border management clearance, Hiep said. The country targets a rank of 30-35 by 2025 and has worked towards improving in all six components, he said. He urged logistics companies to focus on improving their technology and logistics platform and increase digitisation and human resource training to meet the sectors development demand in the coming time. VIPILEC, to be held in HCM City from June 12 to 14, promises to enable local firms to explore the most advanced technologies in seaport and logistics and network with foreign counterparts. Organised by UBM (Informa Vietnam) and sponsored by VLA and the Viet Nam E-Commerce Association (VECOM), the exhibition has attracted over 100 exhibitors from 15 countries and territories, BT Tee, general manager of UBM VES, said. To be held at the Saigon Exhibition and Convention Centre, it would also feature conferences on the current situation and latest trends in the seaport and logistics sectors in Viet Nam and globally organised by VLA, VECOM and Multi Engineering Solutions Laboratory, Tee said. There is untapped potential for Vietnamese electrical equipment, power lines and cables to penetrate the Philippine market, Le Hoang Tai, deputy head of the Trade Promotion Centre under the Ministry of Industry and Trade (MoIT) said. Tai delivered the message during the Viet Nam – Philippines business conference held in the capital of Ha Noi on Friday. The event witnessed the participation of more than 30 companies and entrepreneurs from the Federation of Electrical & Electronics Suppliers & Manufacturers of the Philippines (PESA). Vu Viet Nga, Commercial Counsellor of the Trade Office in the Philippines, said several Vietnamese electrical machinery and equipment products have been exported to the Philippines. However, export quantity remained modest. Many small businesses spend over VND1 billion a year paying fees for build-operate-transfer (BOT) roads in Binh Phuoc Province, which they said is a heavy financial burden. Speaking at a meeting on April 4 between Binh Phuoc authorities and businesses, Vo Quang Thuan, chairman of the Binh Phuoc Association of Small and Medium Enterprises (SMEs), said he is concerned over the presence of so many BOT tollgates in the province. Thuan said that these road sections, which are around 60 km long each, have up to three tollgates, meaning that these tollgates are just 20 kilometers apart. Meanwhile, the permissible distance between two nearest toll stations is 70 kilometers. Many firms have complained about the high density of BOT tollgates on National Highway 13 and, especially on Provincial Road 741, with the section from Phuoc Long Town to HCMC packed with six tollgates. Although firms shoulder heavy toll fees, the quality of these road sections is poor, Thuan said, adding that they are riddled with potholes. The yearly VND1 billion spending of Thuan’s firm on BOT tollgate fees has sent transport costs soaring, which has in turn affected goods prices. He proposed reducing the number of tollgates in the province to improve the competitiveness of firms and drive up the provincial competitiveness index. However, a representative of the provincial Department of Transport said calculations had been made to ensure the financial feasibility of BOT road projects, and that the provincial government reported to the Binh Phuoc People's Council before each project was carried out. The group is keen to grow in Vietnam, which is one of the fastest growing economies in the world. Central Group, Thailand’s largest retail conglomerate, considers Vietnam its number one target for investment expansion, according to Nicolo Galante, Central Group’s CEO. The group is keen to grow in Vietnam, which is one of the fastest growing economies in the world, Galante said in an interview with Bloomberg. According to Galante, Central Group is currently the largest foreign retailer operating in Vietnam and the plan is clear to maintain its status in the country. Last August, CEO of Central Group Vietnam Philippe Broianigo revealed a plan to invest an additional US$500 million in Vietnam’s retail market in the next five years, taking the total investment capital of Central Group in Vietnam since 2012 to US$2 billion. 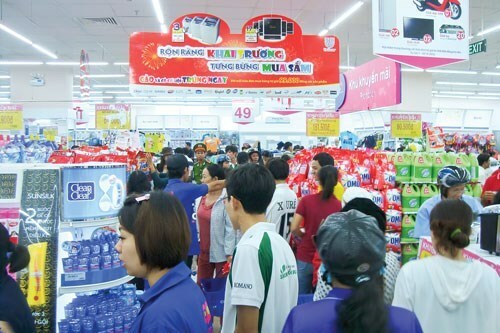 Store penetration in Vietnam is 250 stores covering 700,000 square feet in more than 37 provinces/cities and the group plans to reach 720 stores by 2020, Broianigo said in a press conference in Bangkok on August 22, 2018. He said that the company's employees in Vietnam now number more than 17,000, serving over 175,000 customers a day. Central Group Vietnam is a member of Central Group, which has been present in Vietnam since July 2011. The group's business activities in Vietnam range from electronics, sports, fashion, shopping centers and hotels to e-commerce and supermarkets. The group made the headline in Vietnam following its acquisition of a chain of 33 supermarkets and hypermarkets owned by Big C for US$1.05 billion in April 2016. The US remained the biggest market of the sector with turnover of more than 3.4 billion USD, followed by the EU with over 1.4 billion USD, Japan with 964 million USD, China, 936 million USD, and the Republic of Korea, 874 million USD. In the past three months, Vinatex, the country’s largest textile company made a revenue of over 10.6 trillion VND, with exports reaching 594 million USD. The firm’s pre-tax profit was 280 billion VND, making up 16.2 percent of its yearly target and representing a rise of 24.4 percent against the same period last year. Fruit and vegetable export turnover experienced a year on year fall of 9.3 percent to 879 million USD in the first quarter of the year, according to the Ministry of Agriculture and Rural Development’s Agro Processing and Market Development Authority. 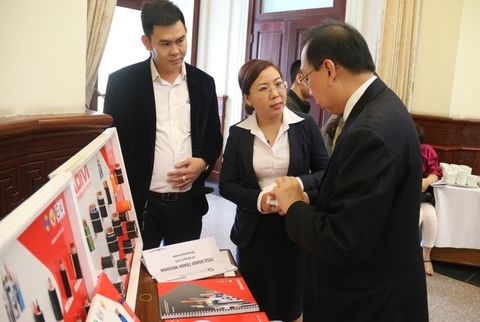 Meanwhile, the General Department of Vietnam Customs stressed that if domestic firms continue exporting through unofficial channels, Vietnamese products will never gain a foothold in the Chinese market. In addition, the companies will suffer a lot of losses due to loose contracts with Chinese partners. 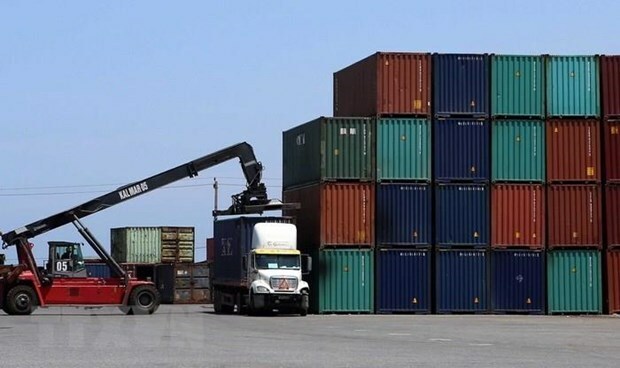 The southern province of Binh Duong enjoyed a trade surplus of nearly 1.8 billion USD in the first quarter of this year, said Nguyen Van Danh, Director of the provincial Department of Industry and Trade. Danh said that in the period, Binh Duong earned more than 6.1 billion USD from exports, up 13.4 percent year on year, with the foreign-invested sector contributing 4.9 billion USD, 79.8 percent of the total earnings. Major currency earners included timber with 772.2 million USD, garment and textiles, about 653.5 million USD and footwear, 700.6 million USD. According to the department, local firms will see an increase in the number of orders for major products in the second quarter of 2019. The major markets for Binh Duong were the US, the EU, Japan and the Republic of Korea. 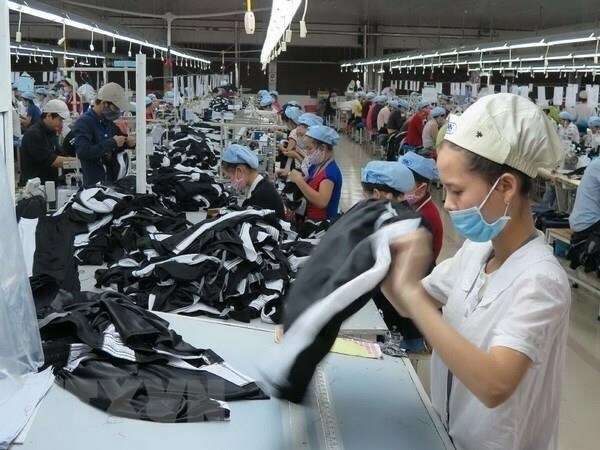 Danh said that the Comprehensive and Progressive Agreement for Trans-Pacific Partnership (CPTPP), which became effective on January 14, 2019, has helped increase orders for exporters in Binh Duong. Statistics from the department showed that in the first quarter, the province attracted 461.1 million USD of foreign direct investment, including 310.6 million USD poured in new projects and 153.5 million USD injected into underway ones. So far, the province has lured 3,571 foreign-invested projects with total registered capital of 32.2 billion USD, ranking third after Ho Chi Minh City and Hanoi. Covering nearly 24,000ha, the zone spreads across 17 coastal communes and towns in Hai Lang, Trieu Phong and Gio Linh districts, driving development in the locality, central region and East-West economic corridor. In 2019, two projects worth a total 69 trillion VND (2.97 billion USD) will be carried out in the zone. They are Quang Tri 1 thermal power plant worth some 55 trillion VND invested by Electricity Generating Authority of Thailand (EGAT) International Company Limited and My Thuy Port by My Thuy International Port Joint Venture Company. Construction on the first project will begin in June with a designed capacity of 1,320MW. This is one of the biggest investment projects in Quang Tri so far. Meanwhile, work on the My Thuy Port will commence in Hai An commune, Hai Lang district, in September. It covers 685ha with 10 wharves able to receive ships of 100,000 tonnes. The south-east economic zone is preparing to welcome other big projects such as Quang Tri 2 thermal power plant invested by the Republic of Korea’s Western Power Co. Ltd. and a gas-fuelled power plant by Russia’s Gazprom company. Investors that have capabilities in capital and technology from Singapore and Japan are also promoting investment in infrastructure, seaports and energy. The Saigon Union of Trading Cooperatives (Saigon Co.op) opened more than 160 retail stores in 2018 amidst fierce competition with both domestic and foreign rivals in the Vietnamese retail market. The company now has more than 650 outlets, including 100 supermarkets, which welcomed about 1 million customers each day. It is expected to raise the number of outlets to 1,000 by the end of 2019 . More than 90 percent of goods on Saigon Co.op’s shelves are produced by local firms, craft villages and household businesses. Nguyen Anh Duc, Saigon Co.op’s Deputy General Director, said the company aims to support domestic production and work with local enterprises. 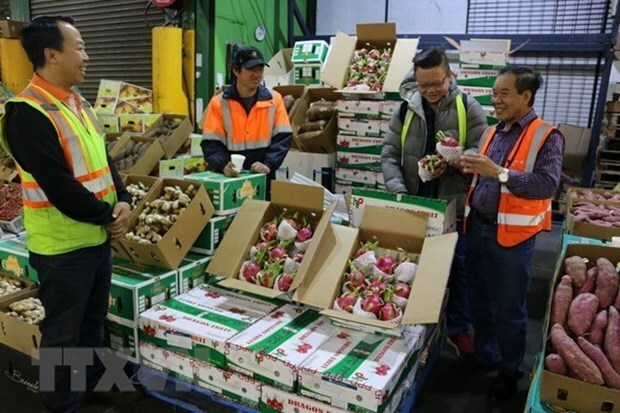 Apart from promotion campaigns at home, the company has exported Vietnamese farm produce to Singapore for nearly five consecutive years, with total value amounting to about 20 million USD, he said. According to Duc, the company will step up the use of technologies in implementing the “Vietnamese people prioritise Vietnamese goods” campaign. Along with businesses, Saigon Co.op, which was founded in 1989, has worked to encourage the operation of cooperatives in Vietnam. Director of the provincial Department of Planning and Investment Le Van Phuoc said that the province will focus on building a level playing field for both Vietnamese and foreign investors. They will receive preferences in tax and land lease, credit support, among others. The provincial People’s Committee has maintained its weekly “business coffee break” model to dialogue with local enterprises, helping to remove bottlenecks in their operations. An Giang is now calling for investment to 60 projects, with priority given to such sectors as high-tech agriculture, eco-tourism, resort tourism, the processing industry, and the support industry. The province secured 795 billion VND (34.3 million USD) in 14 new projects in this year’s first quarter, including three in agriculture, five in realty, two in industry, and four in trade and service. However, it drew no foreign direct investment (FDI) projects during the period. To date, the province is home to 37 valid FDI projects. According to the Department of Planning and Investment, the province saw 177 newly-established enterprises with a total registered capital of nearly 1.45 trillion VND from the outset of the year, up 5.98 percent in the number of business but down 0.27 percent in terms of capital against Q1 in 2018. From January to March, 29 companies completed dissolution procedures and 119 others ceased operations, dropping 6.45 percent and 0.83 percent respectively. The number of enterprises in the locality now totals 9,544, which altogether registered a combined 57 trillion VND for their business operation. There were 4,423 newly-launched units in Ho Chi Minh City in the first quarter of 2019, a decline of 54 per cent year-on-year, according to CBRE Vietnam, perhaps attributed to the government’s tightening of credit in real estate as well as a more stringent process in granting approval to new projects. The pipeline in 2019, however, is still at a strong level. Given the limited new supply, inventory was absorbed positively, evidenced through busy activities at recent sales events. There were 5,924 units sold in the first quarter of 2019, 1.3 times higher than new supply. With the emergence of some luxury projects in the first quarter, average prices stood at $1,764 per sq m, an increase of 15 per cent year-on-year. The east, which possesses a large land bank, is a major development hotspot in Ho Chi Minh City right now, as major infrastructure projects are going eastward, such as Metro Line No. 1 and Long Thanh International Airport. The area is expected to lead the market in terms of new supply over the remainder of 2019, thanks to launches of large-scale projects. Interest in the area remains strong, especially in projects near to future metro stations. A report released by CBRE early this year also highlighted that these infrastructure improvements have significantly changed the development landscape in Ho Chi Minh City’s eastern area since 2012. In terms of location, given the lack of land availability for residential developments and the difficulties in obtaining freehold tenure, new supply in central districts (including Districts 1 and 3) has been limited. 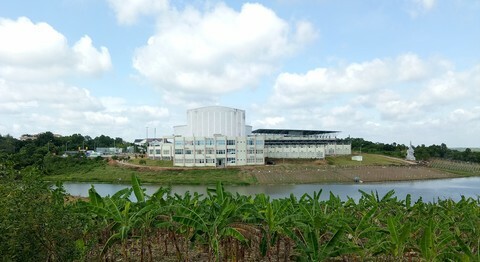 Recent developments have tended to concentrate on neighboring areas such as Districts 2, Binh Thanh, 4 and 7. The southern area ranked first in terms of new supply in 2018 (with 53 per cent), thanks to mid-end and high-end projects in Districts 7, 8 and Binh Chanh. The eastern area accounted for 29 per cent of new supply, with the majority in District 2. President of VLA Le Duy Hiep said potential for Vietnam’s logistics sector remains huge, as the e-commerce market is projected to surge by 25 percent and delivery services may record a growth of over 30 percent in the 2018-20 period. They have raised their disquiet about the big risks of consumer lending emerging from high interest rates and bad debts. Individual borrowers, unlike firms, lack knowledge and experience in handling consumer loans and repayments, potentially posing high risk of insolvency and bad debts. Can Van Luc, chief economist of the Bank for Investment and Development of Vietnam (BIDV), said consumer lending has enjoyed robust growth during the past decade. This has helped to leverage loan access of local consumers and roll back “black” credit, thus making a significant contribution to overall economic growth. Nguyen Tu Anh, vice head of Monetary Policy Department under the State Bank of Vietnam, highlighted the benefits that borrowers can enjoy from consumer loans as such lending model enables them to buy and pay for goods and services in advance in line with their financial capacity. Loans for building and repairing houses dominate the domestic consumer credit market with a 50 per cent market share. This is followed by loans used to pay for household utensils, durable goods, automobiles, and motorbikes, which together make up a proportion of roughly 20 per cent. However, Anh criticised several risks and shortcomings of consumer lending as he noted that lending rates on consumer loans are often high and floating, hence leading to a big threat to the ability of borrowers to repay the loans. Meanwhile, individual borrowers, unlike businesses, are weak at assessing and tackling risks from their borrowing. Many overestimate their financial capacity whilst also undervaluing the risks to their future cash flow and income. Tran Kim Anh, vice head of Department of Economic Affairs under the Party Central Committee's Commission for Economic Affairs, said individual borrowers still lack knowledge and experience when it comes to handling consumer loans. She claimed this potentially poses a high risk of insolvency and bad debts. Insights from the 2014 S&P Global FinLit Survey showed the rate of Vietnamese adults who are financially literate stands at 24 per cent, much lower than figures seen in regional peers such as Thailand with 27 per cent, Indonesia at 32 per cent, and Malaysia at 36 per cent. Most borrowers take consumer loans at a young age while they are willing to accept high risks. Therefore, in order to minimise the relevant risks, credit institutions need to set up a borrower database used to make an analysis of borrowers’ demand and their financial capacity, Kim Anh said. She also urged the need to design a loan management system that could offer early warning signals and solutions for debt collection. Provisions must be made to tackle relevant risks if necessary, she added. Vietnam’s seafood association has complained that a quality control circular is preventing 5,235 tons of fish from being cleared for export. According to the Association of Seafood Exporters and Producers (VASEP), a circular passed by the Ministry of Agriculture and Rural Development (MARD), requiring exported fish to have their origin verified by "authorized fishing ports," took effect on January 1, 2019, this year. Under the circular, the government had to publish a list of all the authorized fishing ports, but so far, the ministry has only named, or effectively endorsed, 47 of 83 ports currently operating in the country. As a result, 5,235 tons of seafood at the "unauthorized" ports, purchased between May 2018 and March 2019, have not yet been cleared for export. Phung Duc Tien, Deputy Minister of MARD, said that the European Commission has requested that Vietnamese ports authorized to verify the origin of fish have certain quality control systems in place. Out of the 83 active fishing ports, which have a total output of 1.8 million tons a year, MARD has only deemed 47 ports to have systems that meet European standards, said Tien. "Assessment of whether ports meet these standards are undertaken by localities, after which they make a proposal to MARD to authorize the said port. Whether this process takes time or not depends on the locality," he said. Regarding the 5,235 tons of fish, Tien said that they should be recalled by enterprises and processed for other orders. In October 2017, the EU gave Vietnam a "yellow card" over illegal fishing, warning the country it could ban seafood exports unless Hanoi did more to tackle illegal fishing. According to MARD, European Commission inspectors will visit Vietnam in April to conduct a final check before the bloc decides whether to lift the yellow card. According to the Ministry’s latest reports, seafood exports in the first quarter of 2019 amounted to $1.8 billion, a 0.5 percent increase over the same period last year.